for $449,900 with 3 bedrooms and 3 full baths. This 1,890 square foot home was built in 2005 on a lot size of 1.7700 Acre(s). Something for him and something for her, this one will make you 'both' smile. 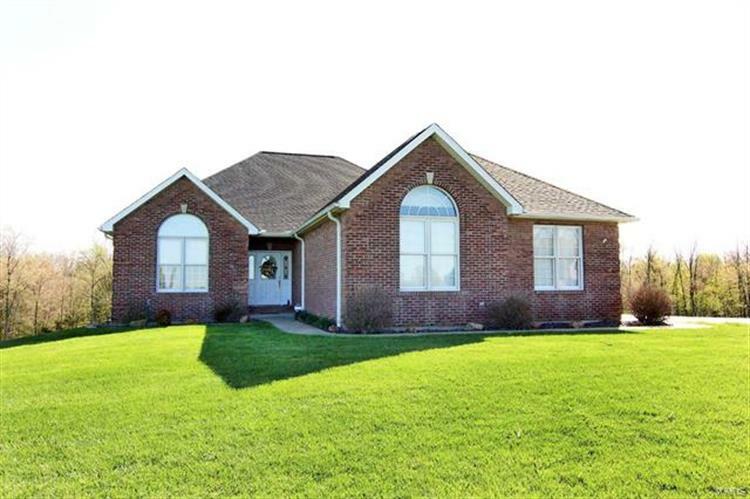 The all brick ranch style home is complete with over 3000 sq ft of living space resting on 1.77 acres and delivers an extra detached shop/garage that is just waiting to house all your toys. The interior of this grand dwelling will leave you speechless with the sought after open concept floor plan, modern finishes, wood flooring, neutral colors and a remodeled kitchen displaying granite countertops, ss appliances, and a notable center island. The master suite is spacious in size along with the 4 piece bath showcasing dual sinks, heated floors, jetted tub, walk in shower and a oversized closet. Walk out basement offers additional entertaining area with a large family room, additional bedroom, office, bath and ample storage. This homesite rests in the well known Saddlebrooke Subdivision where views are plentiful in every direction. This property is one that won't disappoint. Realty Executives Of Cape Co.